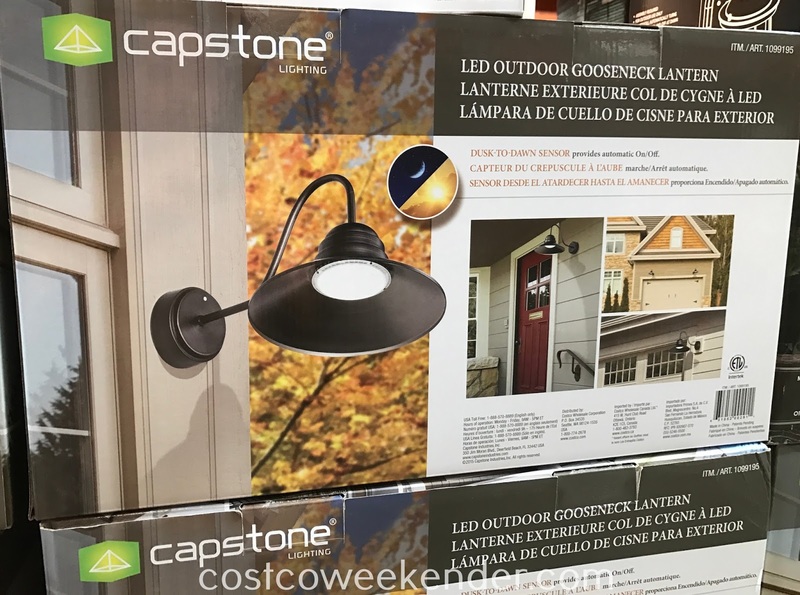 If the outside of your home doesn't have a lot of life or you just live in a dark neighborhood without any street lamps, then check out the Capstone LED Outdoor Gooseneck Lantern. It'll light up the exterior of your home at night. The rustic look of the Capstone LED Outdoor Gooseneck Lantern will make your home that much more warm and inviting and give it that "homey" charm. What's great is that it features a sensor which allows it to turn itself on and off. You just set it and forget it. Not only that, but it doesn't even have any bulbs to replace which is pretty cool. No need to climb a ladder to replace a hard-to-reach bulb. 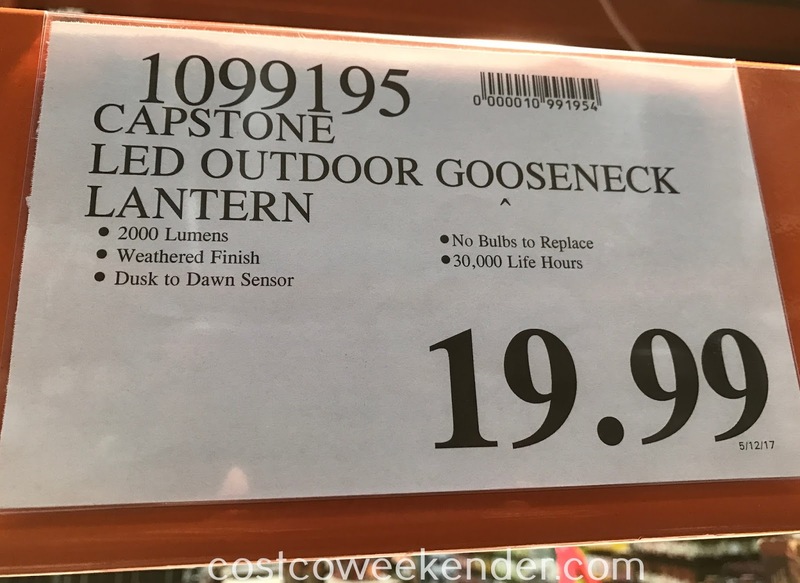 If you want to brighten up your home, then definitely consider the Capstone LED Outdoor Gooseneck Lantern. I have had mine installed for about 6 months. It randomly flickers. Some times on startup and some times in the early morning. 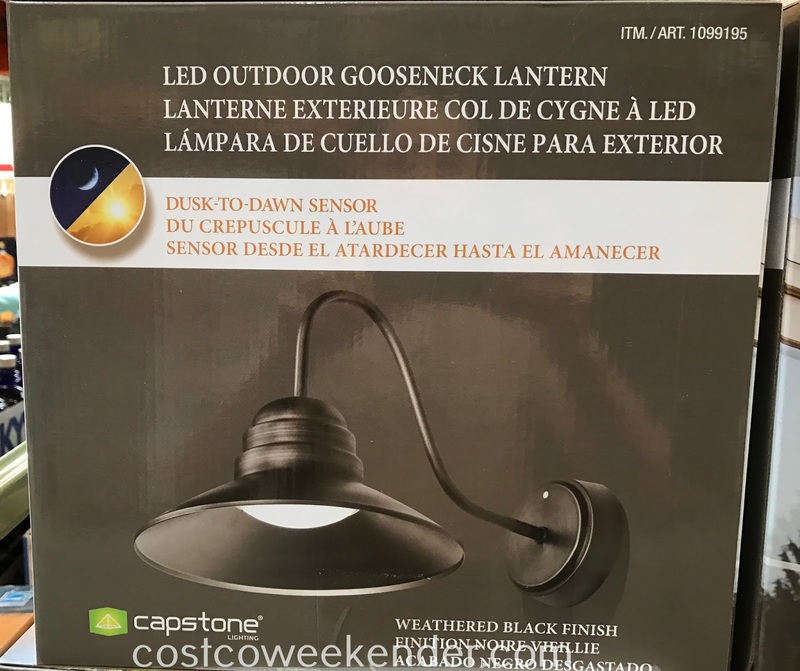 Hello @Anonymous, thank you for sharing your experience with the Capstone Lighting LED Outdoor Gooseneck Lantern. I wonder if the flickering is caused by a defect in the sensor. It's definitely tough to diagnose something like this. You may want to try to swap it out for a new one and see if that has the same issue. 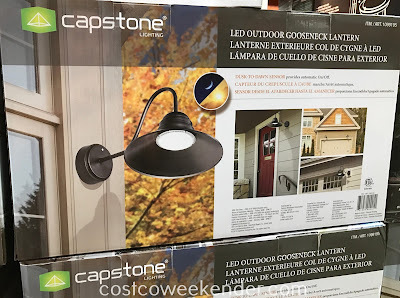 I bought 12 of these lights from costco and only 6 lights still woork had issues with them within the first 3 months. Will Costco swap it out for a new one. I do not have the box anymore. 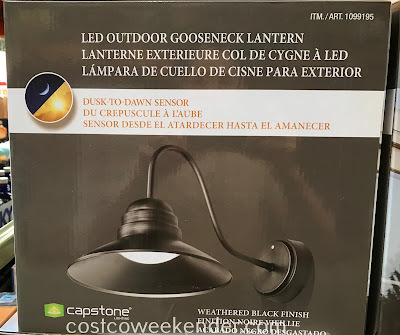 Hello @Unknown, it might be easier to do a return/re-buy where you return your Capstone Lighting LED Outdoor Gooseneck Lantern and then just purchase a new one at Costco.